To make the most accurate and user-friendly Insight Genesis maps, make sure your GPS receiver is aligned properly with your transducer. If your transducer is transom-mounted and your Lowrance unit is console-mounted or bow-mounted, your mapping results won’t be as accurate as they could be. To make the best custom contour maps possible, install a thru-hull transducer below your console, or install a stand-alone GPS antenna “puck” in the stern of your boat, above your transom-mounted transducer. 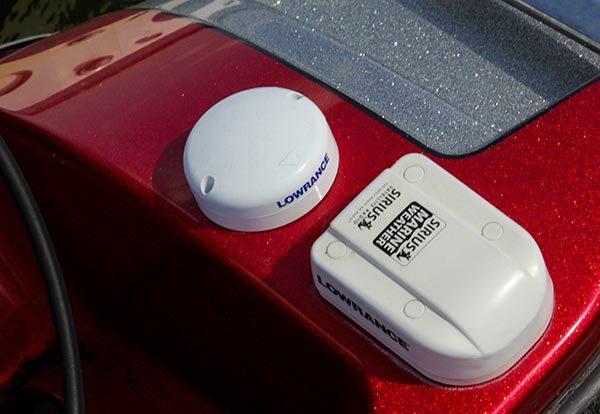 Your boat’s GPS receiver is built into your Lowrance unit. Mounting your unit at the console and connecting to a transom-mount transducer creates a gap of five feet or more between your GPS position and the portion of the water column that your transducer is sounding (and displaying a representation of on your screen). 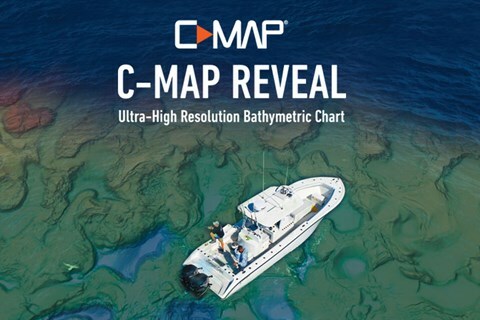 This can be especially problematic when mapping an area with up-and-back/shore-to-shore horizontal passes, as such a set-up can cause the location of mapped depths to be five feet off (or more) in one direction and another five feet off (or more) in the other direction. A tell-tale sign that your transducer is located too far from your boat’s GPS source is “crinkly” looking contour lines on your map (see yellow circle in Figure 3). Before mapping your favorite fishing holes with Insight Genesis, double-check that your transducer hasn’t been knocked crooked. A misaligned transducer can result inaccurate contour, aquatic vegetation, and bottom hardness outputs. And while the Insight Genesis Quality Control Team will prevent such bad data from being included in the maps you make, you will have to go out again and drive over those areas that you mapped while your transducer was crooked. 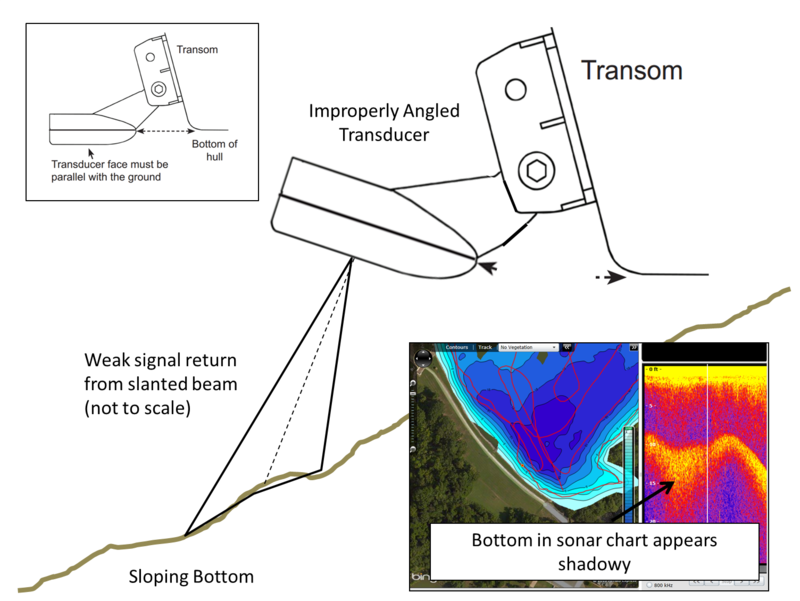 When mapping flat bottoms or slopes where the transducer beam is pointed away from the slope, a crooked transducer causes weak return signals (See the image below). To get the best data for making Insight Genesis maps, your Lowrance transducer should be aligned parallel with the ground (see the smaller inset image above).